Do I look silly ? No, I'm not silly ! Hiro (Kyoto, Japan) on 28 September 2010 in Animal & Insect. I am too silly to recall the name of this fish. 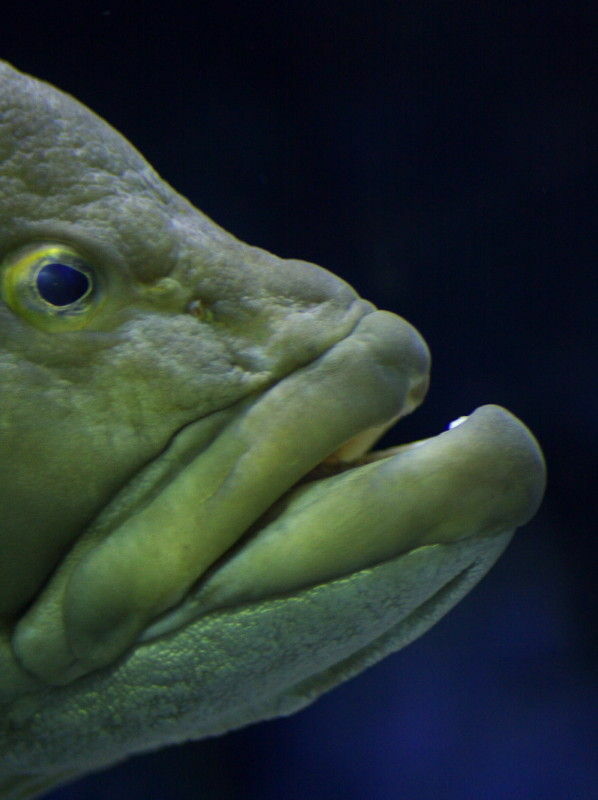 Terrific portrait, I think it's a grouper. 5 *. Good day. Great portrait ! HST ! wow terrifiant ! Peace ! The close up is excellent, including color and detail. It could be that it is a perch, but I'm not sure if it's true. @k@: Hee hee, why you won't ? Say who is it in a low voice.